Lost & Found journey off to Italy for their next adventure, and meet up with two talented producers who have been at the peak of their scene for many years. 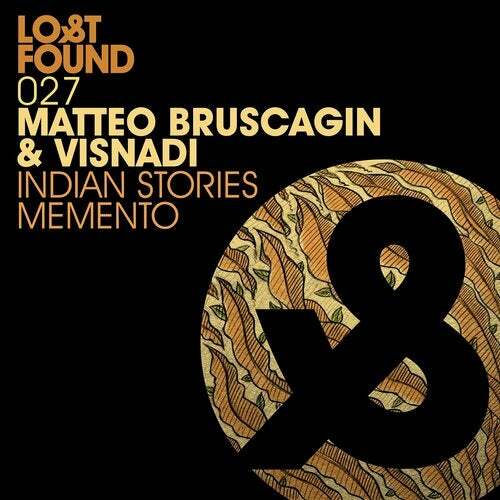 Matteo Bruscagin has released music under different names on quality label like Wave Music and Yoshitoshi, while Visnadi has had Top 10 pop dance smashes around the World, but also being part of legendary house act 'Cool Jack', as well as making the classic 'Racing Tracks' that was a Renaissance anthem for Sasha and Digweed and even a favourite of John Peel. 'Indian Stories' kicks things off, and in true Lost & Found style, this dreamy building gem is full of atmosphere and is a journey of the highest order. Sophisticated production oozes effortlessly across this monster as it unfurls subtly and wonderfully, creating tension, and is as equally timeless and as fresh as can be. 'Memento' is a deep and devastating production that is a voyage for the mind, as well as being a solid dance floor gem. Powerful and energetic, whilst still keeping you waiting for this masterpiece to continue along with its surprising and breathtaking underground classic.